Customer relationship management (CRM) software giant Salesforce.com Inc. has identified three statistics based on U.S. commercial activity on Nov. 24, 2017, and Nov. 27, 2017, unofficially known as Black Friday and Cyber Monday, that Canadian retailers can learn from. And they all illustrate the growing power of the smartphone. To start, what Americans celebrated as the 2017 Thanksgiving holiday weekend marked the first time e-commerce purchases on mobile devices surpassed those on desktop, with the latter used in 49 per cent of purchases, Salesforce digital evangelist Vala Afshar tells ITBusiness.ca. November 2017 also broke mobile sales records, with American retailers making $11.2 billion USD in revenue through smartphone transactions alone, according to Adobe. orders between November 21 and 27, 2017, versus 53 per cent and 32 per cent, respectively, in 2016, according to Salesforce data. Salesforce digital evangelist Vala Afshar says mobile is key to reaching today’s consumers – and the CRM giant has the statistics to prove it. One leading factor in the popularity of mobile devices is their capacity for personalization, Afshar says – they perfectly complement what he calls today’s “ambient computing” (a term that he’s quick to note was coined by tech journalist Walt Mossberg) environment, which includes voice-activated smart devices by the likes of Google and Amazon in addition to the navigation features offered by our phones. This makes them the perfect vehicle for offering personalized experiences, he says, an element that Salesforce was able to measure the impact of for the first time in its history this past Black Friday and Cyber Monday. Through its Commerce Cloud platform, the company discovered that while only five per cent of consumers clicked on personalized offers, those five per cent represented 28 per cent of revenue. 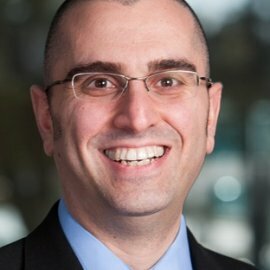 “When you combine these factors – voice as the new UI, the fact that 90 per cent of the time users of smart devices are on an app rather than a web browser – the result is a customer experience that is fast, personalized, and intelligent: The three components of a successful digital business in today’s digital economy,” Afshar says. And while the statistics cited above are U.S.-based, Afshar says Salesforce’s Canadian data leaves him confident that their lessons apply to Canada too. For example, a majority of Canadians use retail websites to research (67 per cent) and buy (59 per cent) their products online; 56 per cent report liking product recommendations based on their purchasing history; and 58 per cent feel their retail experiences are disconnected from one channel to another, whether it be email, website, mobile app, or in-store. Black Friday and Cyber Monday are also popular topics on Canadian social media, with a combined 28,000 mentions this past weekend, according to Salesforce. Naturally, he notes, Canadian retailers seeking to offer a more personalized experience have much to gain by investing in CRM.